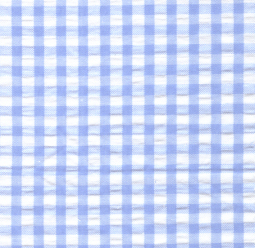 Blue Seersucker Fabric: Wide Checks. 100% cotton seersucker. 60″ fabric.1/4″ check. Pair it with the coordinating Blue Seersucker Stripe Fabric. Great for summer dresses, shirts, and more. 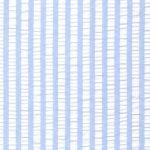 We also have Blue Seersucker Fabric in other size, so see here for more options: Cotton Seersucker Fabric.